I'm not sure if this can be considered a book but if you want to know what I'm reading its : The Art of War by Sun Tzu. Ruka wrote: I'm not sure if this can be considered a book but if you want to know what I'm reading its : The Art of War by Sun Tzu. Great book! When I played a lot of Socom I used it for strategy purposes. Although a lot of it doesn't apply to modern warfare there is still some good advice within. 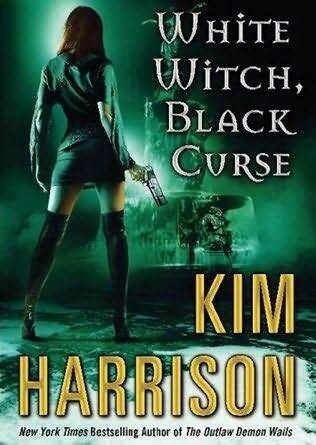 White witch, Black Curse is book seven in the Rachel Morgan series. It's probably one of my favorite Paranormal fiction series, though generally I prefer more darker series, the Morgan series is well written none the less and has good flow in plot. Just started reading Scar Tissue. It's the memoire of Anthony Keidis from the Red Hot Chili Peppers. I'm sort of biased because they are my favorite band, but this man has had one of the craziest lives I've ever looked into. Drugs, women, celebrities.. he had them all by the time he was twelve years old. He is brutally honest with details about his exploits, and I can't even begin to explain some of the stuff he's experienced. Next in the line up is the Iceman, a biography on Richard Kuklinski, who was a hitman for the mafia. He worked for some of the biggest names in organized crime using some of the most brutal and ruthless tactics ever known. Can't wait to get to it. 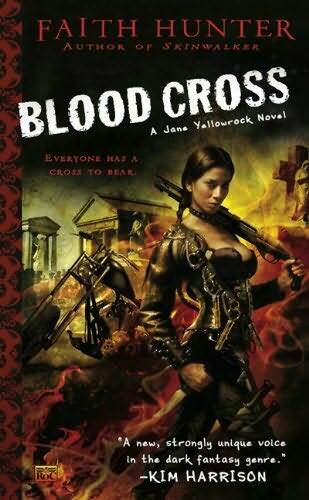 Just finished Blood Cross by Faith Hunter. Pretty standard paranormal fiction, a little darker then most, which is great with me. A lot like the first in the series, which is always nice to find in a series, consistency. I think you have a bit of an obsession with strong female characters kev, ha. Did you grow up watching Xena warrior princess? This series is probably one of the most addicting series that I have ever read. Garr Talon wrote: I think you have a bit of an obsession with strong female characters kev, ha. Did you grow up watching Xena warrior princess? 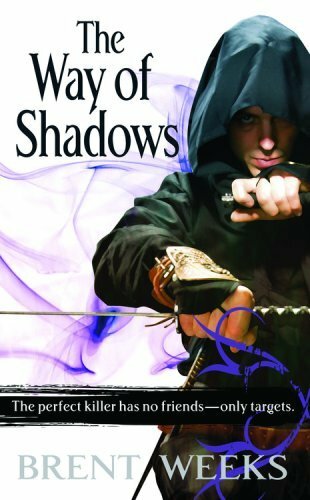 I read all the books in that series, the first 3 were great but the rest werent as good. I just finished that about a month or so ago and let me tell you, it was a VERY fruitful read. I seriously believe no matter what you style of reading, you NEED to at least read this once. It will give you a better understanding into ANY kind of warfare. As Garr has used it for Socom, I've been using it to revise alot of my RPG Scenarios as well as a few of my stories. Honestly, I feel it was beautiful and a great read. I read all of those too. 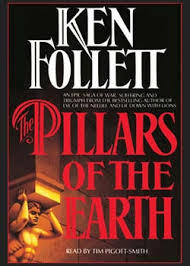 I thought it was great, deep plot which will keep me going through the rest of the trilogy. In case anyone was wondering I was attracted by the assassins creed like cover, I always judge books by the cover... it's probably a bad thing but so far I haven't been disappointed. LOL, We have a local waitress that works at Red Lobster that looks just like her, Kev. You will have to visit and meet her. She even dressed up like Zina and she was a dead ringer. Wow...um, if your not taken, you should look into that. Xena is perty. I can understand that. As Im reading Darren Shan is adding what I really wouldnt expect like lets say...outer space. That and the whole Noahs ark of the universe thing. And is it me or have the books since book four gotten less gory? No Zina for me I'm taken by a crased but wonderful little Itialian girl. So she is game for you guys. On another note I read most of the new series with Grand Master Skywalker, and the reemergence of the sith. Fate of The Jedi series. I found it slow moving and lacking imagination. Of course my standards are high for Star Wars books. Timothy Zahn, in my opinion, was the best Star Wars author. Others fall short. I haven't read the whole Vong series with Zahn because its so long but i likes the Legacy of the Force series and want to get fate of the jedi. After the legacy of the force conclusion i want to know what happens to them all! I read the millennium falcon and it was interesting but started to bore me half way through. Carlen... I love you, dude! Hah ha, I see. We've been reading to THE BELLY every night for the last two weeks (yes, we already have that many childrens' books). For Christmas, I bought Anberlyn the start to her very own Dr. Seuss collection. I bought her the three greats to begin: The Cat and the Hat, How the Grinch Stole Christmas, and Green Eggs and Ham. Next you need to get Hop on Pop! And, 1 Fish, 2 Fish, Red Fish, Blue Fish! !